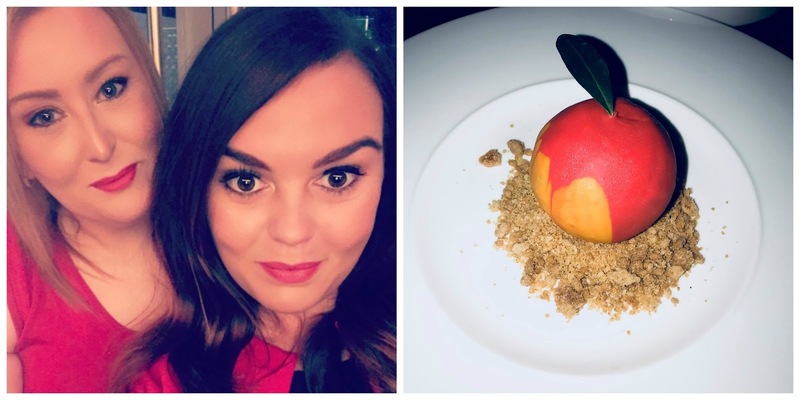 There's being fashionably late and then there is being so late to the party that it finished 6 weeks ago…..that's me clearly as I post my February update in the middle of April! 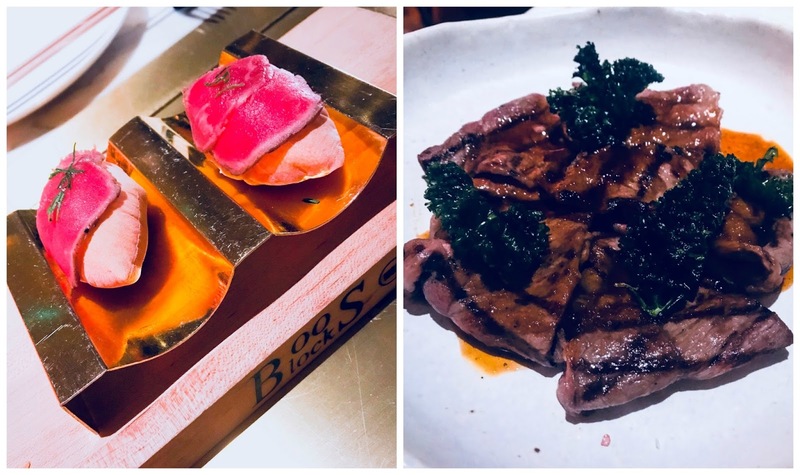 But there were some great restaurants I went to in February that are definitely worthy of a mention and it was a really great month overall! So excuse my tardiness but here is what I got up to in February. LPM is one of my absolute favourites in Dubai and I have spoken about it before on my blog. It's won numerous awards and booking ahead is a must. The food is consistently excellent and the service is formal but friendly. 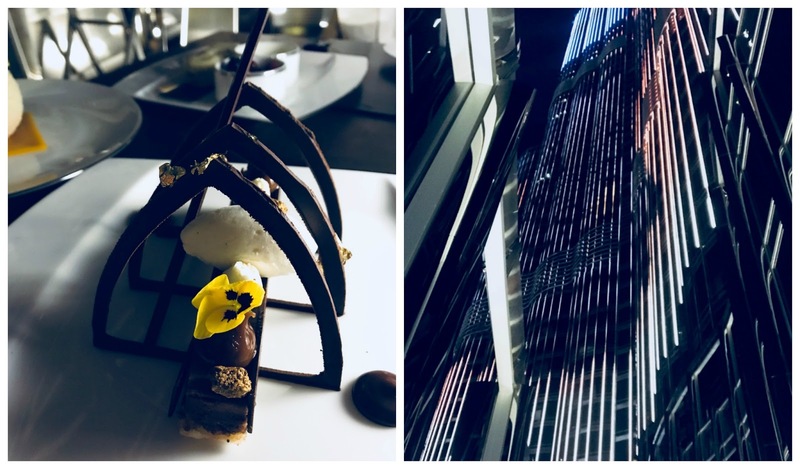 It's definitely one of the most expensive restaurants in Dubai but must be experienced at least once. I'm really looking forward to going to LPM in Nice in July and seeing how it compares with Dubai! 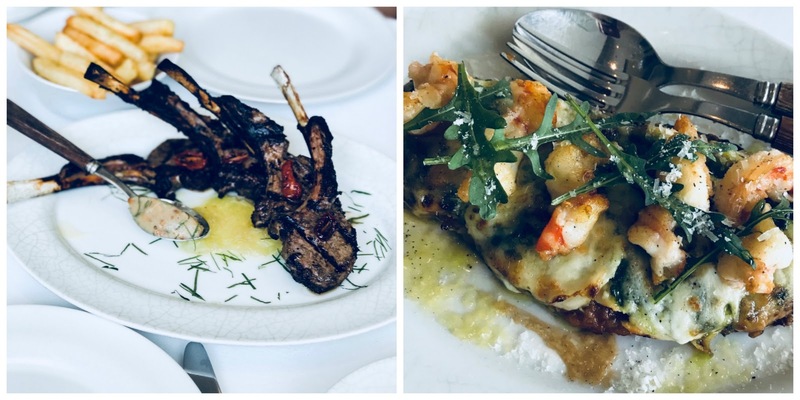 I highly recommend the seafood dishes here and the lamb chops are insanely good. 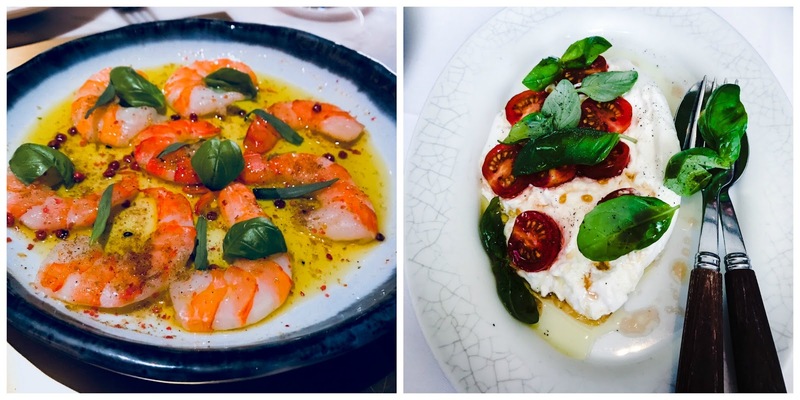 I visited a lot of my 'all time faves' in Dubai in February and I really enjoyed a girls night out at Marina Social to see Jason Atherton cooking up a storm in his kitchen. We got to meet him which was such a pleasure and the food was amazing. I've been to Marina Social 4 times this year and each time has been flawless and they are the nicest people. I've never had a bad dish and I'm already planning my next visit! They do a lot of special deals so it's definitely worth checking their website for events. Play is a super cool restaurant/bar on the 36th floor of the H. I love the layout of the restaurant, it's on multi-levels making it amazing for people watching-and this is a restaurant to dress up to visit, whatever night of the week you go. The food is Asian fusion and everything I have tried has been amazing-the slight let down in this restaurant is the service-it's disinterested, cold and borderline rude. But if you can look past that, you won't be disappointed with the food! 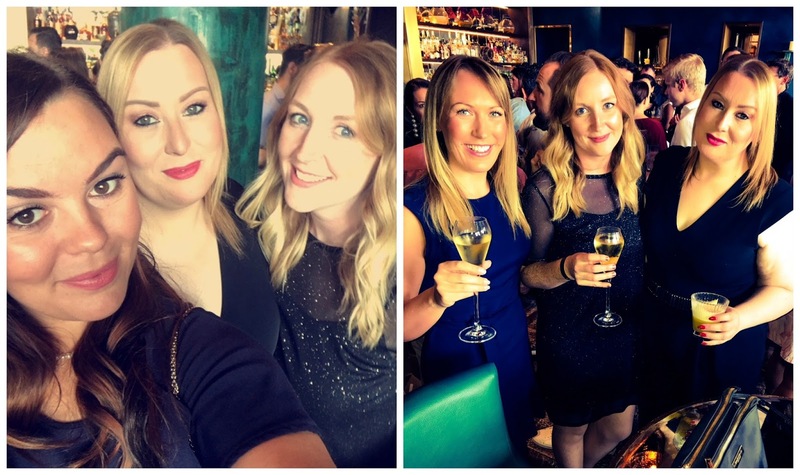 I went to Coya to try their brunch for the first time and I absolutely loved it-so much so I booked it immediately for my birthday afterwards. I love Coya as a restaurant but their brunch was just phenomenal-the food, service, vibe and music were all perfect. This is an a la carte brunch where food is served to the table and then afterwards the music cranks up and everyone is up dancing-including the staff. It's definitely one of the classier brunches in town-the food is exceptional quality and I am a high fan! 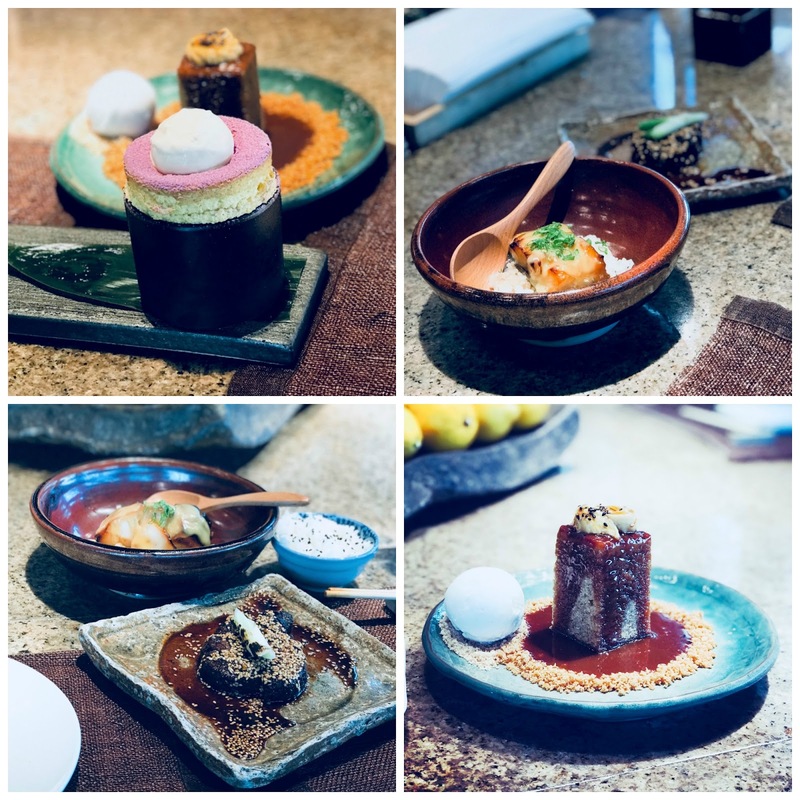 I could talk about Coya for hours-its in my top three restaurants in Dubai. 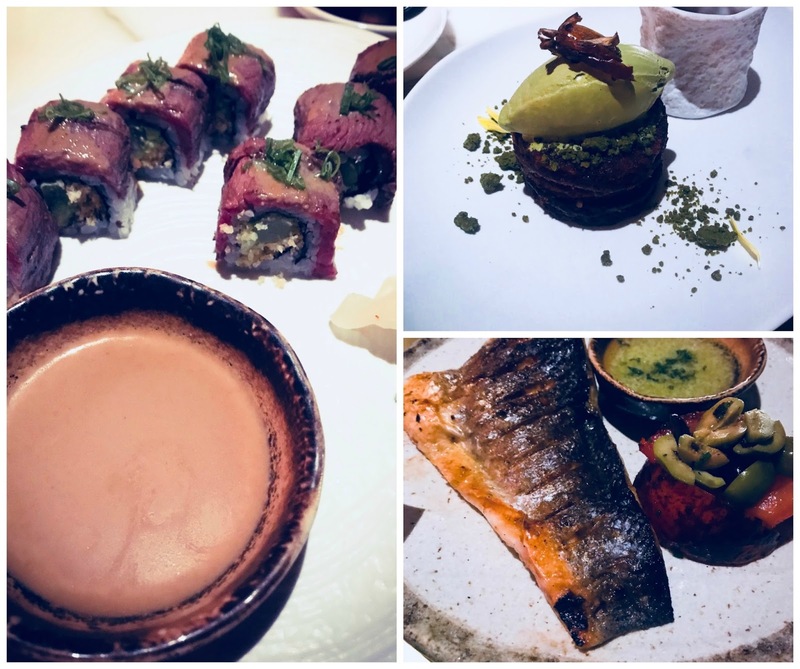 No surprises here, I go to Zuma at least once a week for their business lunch-it's incredible value for money for the food quality and choice. I'm a creature of habit and usually, we order the spicy beef tenderloin and black cod, and various starters. 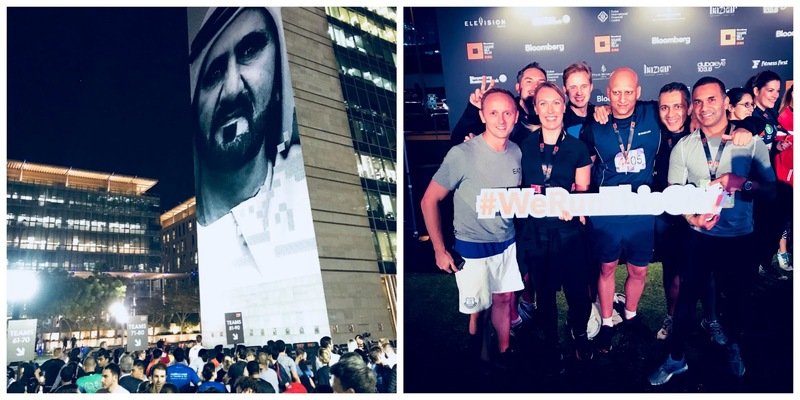 Zuma has a great reputation for good reason-it's one of the best in Dubai. You need a reservation here for sure unless you're happy to sit at the robata or sushi bar (which we always are and actually love). I am a big fan of Zuma and am desperate to try their brunch. So speaking of all times faves, a month wouldn't be a month without a visit to Gaucho....need I really say anything?? 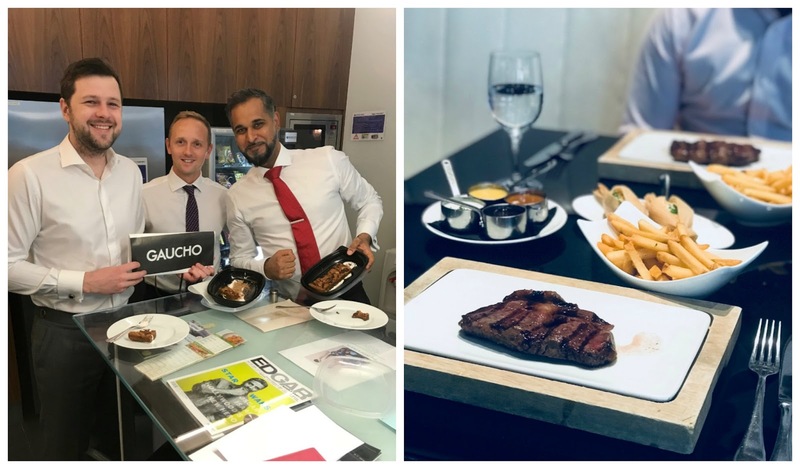 Flawless service, the friendliest welcome-the staff at Gaucho are now genuine friends now and I love them so much, and exceptional food-it's my go-to for everything. 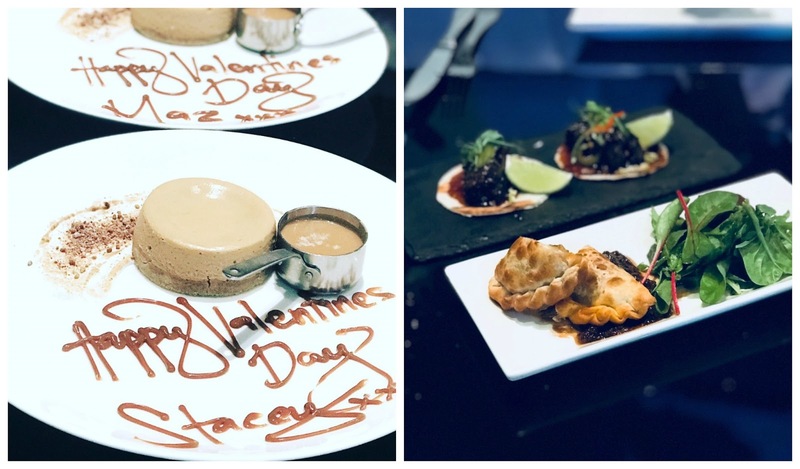 My best friend in Dubai and I went for lunch, not really realising it was also Valentines Day but we got our own personalised cheesecakes for dessert-the cheesecake I absolutely rave about! Gaucho also very kindly sent dessert for my whole office-trays and trays of brownies arrived at the office to much delight!! Another incredible restaurant with (in my opinion) the best view of the Dubai fountains you can get. I love Amal, I love Indian food but am fussy and the chefs there bend over backwards to accommodate requests. 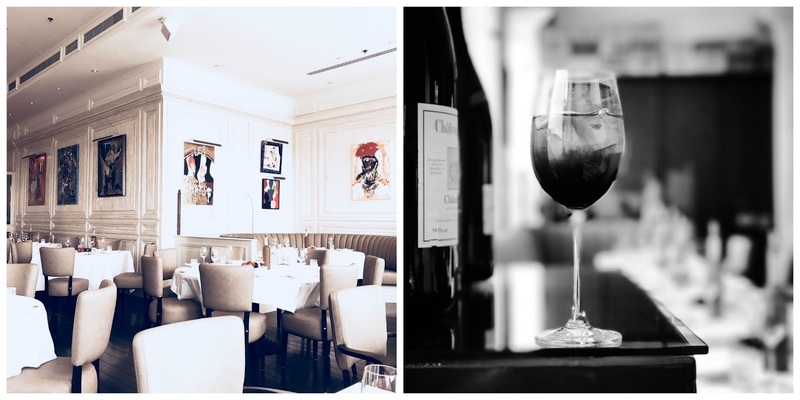 The food is beautifully presented and they do a fabulous and reasonably priced set tasting menu. This is also an excellent choice for vegetarians as they have a vast selection of options. I highly recommend this restaurant for a special dinner. 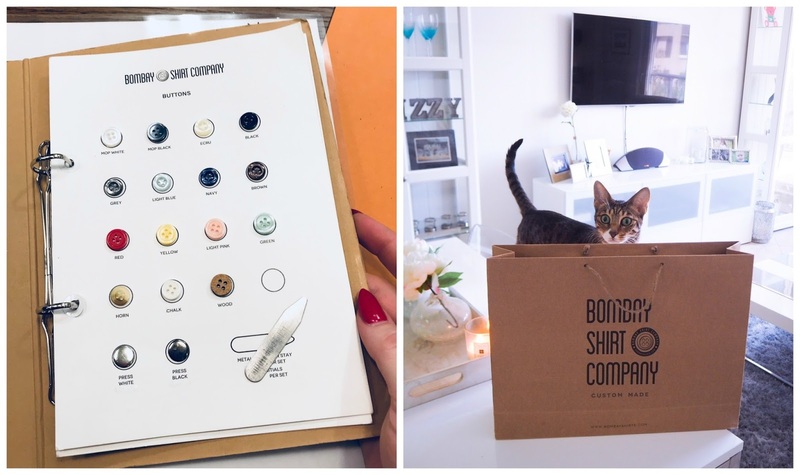 I was invited by the lovely girls at Pop Comms to have a bespoke shirt made for me by the Bombay Shirt Company who are located in DIFC and the whole experience was fantastic. It was also an education-I literally knew nothing about tailoring to this level but every detail of the shirt was completely customisable. 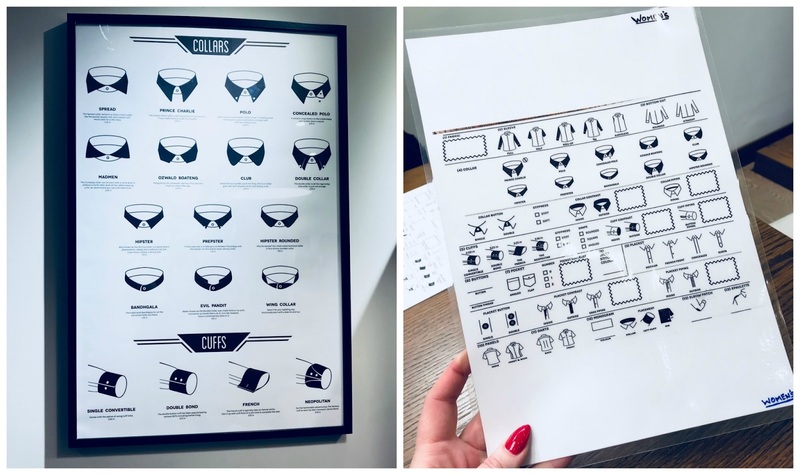 In my appointment I got so much guidance around the type of collar, the positioning of the buttons, the style of cuff, the seams etc-all to suit my body shape. They also asked me so many detailed questions to help with styling such as 'do you wear your cuffs rolled up'? and 'how many buttons will you leave open at the neck'? to ensure it was a shirt that fits with my own personal style. I loved the results and have worn the shirt so much since-I'll definitely be going back for more.